I've advocated frequently on this blog for baking with fresh squash rather than pumpkin in "pumpkin" pie. I've also unabashedly supported the use of canned pumpkin (er, squash?) in the absence of fresh squash, excess time, or just because. And in 2009, I declared my favorite canned pumpkin-- One-Pie. I still stand by all of those statements. I was recently in Cape Cod, where I spent a lovely week with a house full of friends, biking to the beach, kayaking the salt marshes, lounging on blankets in the grass, and coming together for lively nightly dinners at a long, candle-lit and wine-lined table. 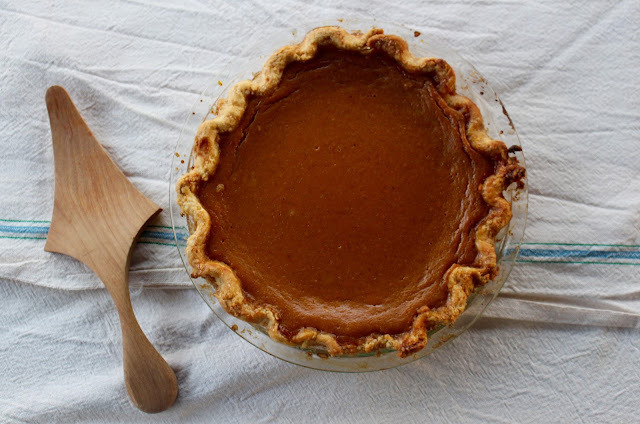 I baked a few different desserts with One-Pie while I was there-- a Pumpkin Custard Cake for my friend Sadie's 32nd birthday, and two Drunken Pumpkin Pies, requested by Magpie, age 7, with assistance from her and her brother Matthias, age 3. 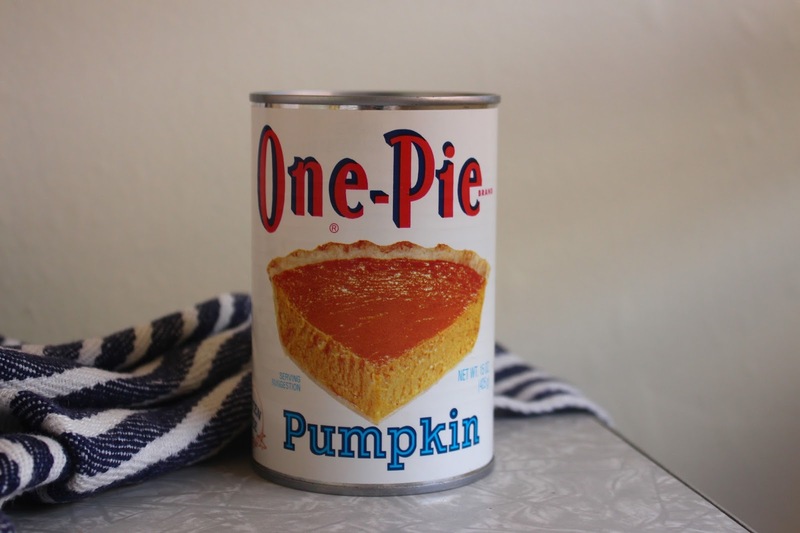 But I was keen on revisiting the One-Pie back-of-the-can "New England Pumpkin Pie" recipe, so I smuggled out another can in my suitcase. I will say that as far as pumpkin pie goes, I don't think you can beat the Drunken Pumpkin Bourbon Pie recipe. 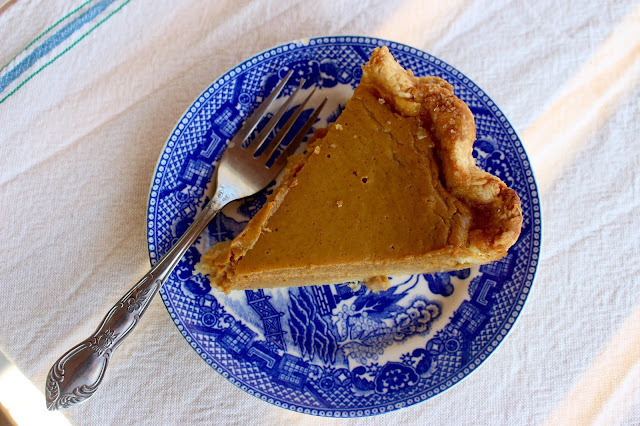 It's so rich, spicy, and molasses-filled it borders on savory, and of the course the bourbon ups the ante, knocking the rather bland standard pumpkin pie recipes off the dessert table. However. 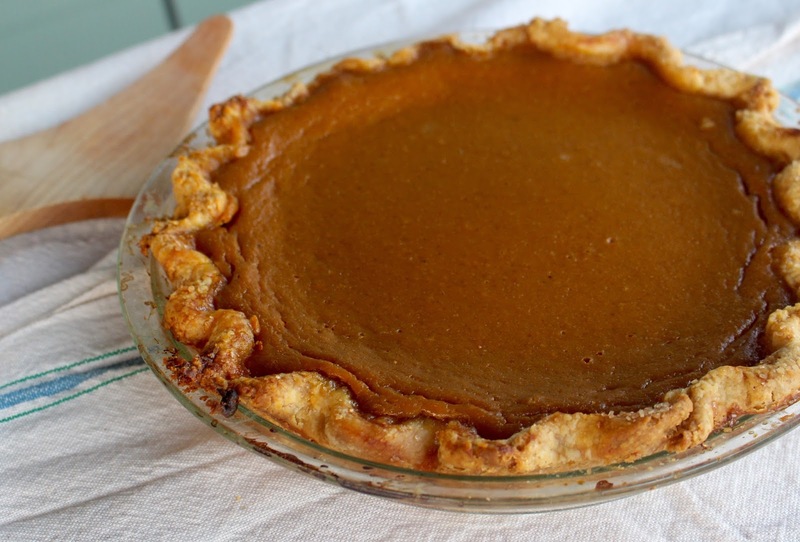 If you are looking for that classic pumpkin pie flavor, One-Pie's New England Pumpkin Pie recipe is the way to go. Personally, I'd reduce the sugar by a fourth cup and substitute in brown sugar for white, but I included the original recipe below for the traditionalists out there. Apparently there are many of you-- the 2009 One-Pie post is one of the most popular on Nothing in the House. 1. For the crust: Prepare half of Nothing in the House pie crust as per the directions, reserving the leftover egg for an egg wash and saving other half of the recipe in the freezer for a future pie. Chill dough at least one hour before rolling and fitting into a greased and floured 9-inch pie pan. Wrap with plastic wrap and place in fridge until ready to use. 2. For the filling: Sift sugar, cornstarch, salt, cinnamon, ginger, and nutmeg together. Mix this with contents of one can One-Pie Pumpkin. Add eggs, beaten, melted butter, molasses, and milk. Add a dash of lemon juice (if desired). 3. 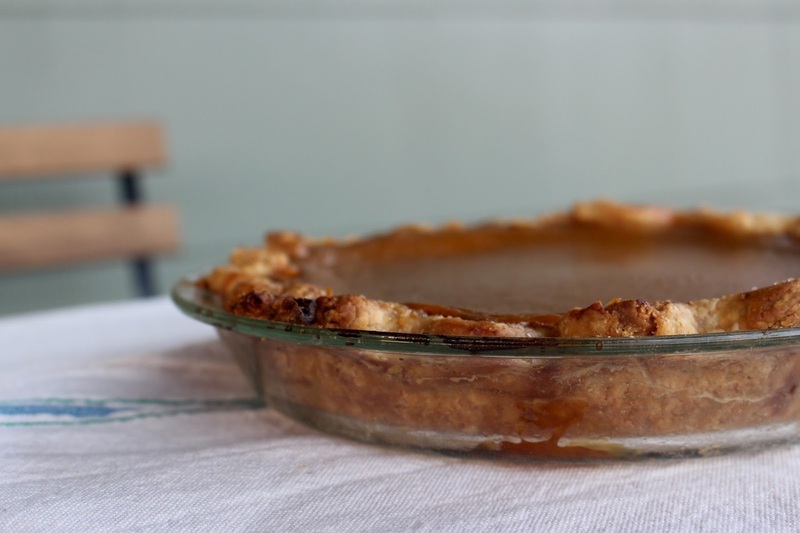 Line a 9-inch pie plate (you've already lined this with the crust), pour in contents. Preheat oven and bake at 450 degrees F for 15 minutes. Then reduce temperature to 350 degrees F and continue to bake for 50 minutes. Enjoy! P.S. I talk a little more about using canned pumpkin/squash in a recent episode of the Inside Appalachia podcast. Listen here!